Looking for the Perfect Nanny? Let Rainbow Nannies Help! 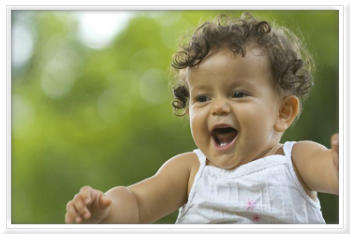 Confidently Recommending the Best RIE Nannies in Los Angeles and Orange County. The process of hiring a nanny can be filled with apprehension. How will you find someone who shares your beliefs on parenting, discipline, feeding, sleeping and communicating? It’s an enormous decision which must begin with great care and end with your complete confidence. At Rainbow Nannies, we understand your concerns and have dedicated ourselves to helping families like yours find the perfect nanny. Established in 2007, Rainbow Nannies provides thoroughly screened RIE® Nannies in Los Angeles and OrangeCounty, along with newborn specialists, baby sitters and housekeepers. We will walk you through the screening process and provide support and consultation post-placement, so that you can feel completely safe in choosing the best nanny to care for your children. What is an RIE® Nanny? RIE (Resource for Infant Educators) is an integrated model for the care and education of infants and children using the approach created by Magda Gerber. The RIE approach encourages infants and adults to trust each other, learn to problem solve, and embrace their ability for self-discovery. When allowed to unfold in their own way and in their own time, children discover and inspire the best in themselves and in others. To learn more visit our RIE® page. Your child will always be surrounded by loving, caring nannies, who will embrace your child’s uniqueness and individuality. Our Los Angeles and Orange County professional nannies are gentle, creative and hard working. “Many of our nannies adhere to the principals of the R.I.E. philosophy which is a plus”. A newborn care specialist is delighted to come into your home in the first few weeks or months of your infants life to assist mom and dad with daily newborn care. Newborn care specialist work 24-hour days; they are on-call at all times to care for your newborn. Newborn care specialist provide support and knowledge with all aspects of feeding/breastfeeding, bathing, sleeping, infant laundry, and light-housekeeping. A housekeeper’s primary job responsibility is to maintain the employer’s home in a clean and presentable manner at all times. Our housekeepers are available for live- in or live- out positions. We schedule each family according to their individual needs. Checkout our own Ty Vaughn’s interview on Fox News with Christine Devine!